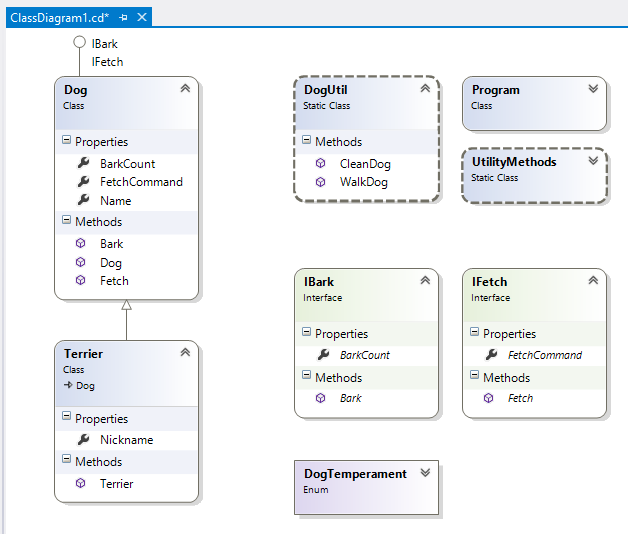 You can create and view a class diagram from within Visual Studio that shows all of the types in your project and their relationships. This is helpful in understanding how your project is structured. To create a class diagram that allows viewing all types in your project, do the following. 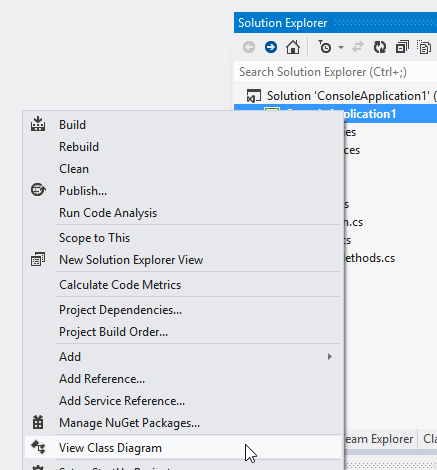 In Solution Explorer, right-click the project and select View Class Diagram. A diagram will appear that shows all of the types in your project. In this example, the diagram also shows that Terrier is a subclass of Dog and that the Dog class implements the IBark and IFetch interfaces. You can also click on the double down arrow icon to expand any of the types. (You may have to move them around to make things look pretty again). You can also navigate to the code for any member shown in the diagram, by right-clicking on the member and selecting View Code. Good post.. sometimes, we as developers just forget simple things. Nice work with the c# 2k things. Thank you. How would I write this in Visual Studio 2012? This example was done in Visual Studio 2012. 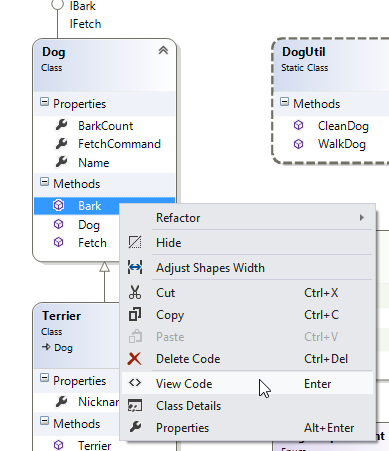 Are we able to view class diagrams in visual studio 2012 express? I haven’t been able to find it.